Good morning! Today I'll be sharing my first beauty post! 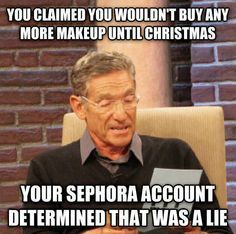 To be honest, I am a bit of a beauty/makeup addict. I love to watch YouTube videos with makeup tutorials, or read beauty blogs to learn new tips and tricks. However, my goal is to appear natural and never over-done. I look very young as well, so I use makeup to appear more professional and put-together. My day-to-day/work look is pretty minimal (to me! For some of you, this may seem like a lot) and takes me about five minutes in the morning to throw on my face. Next week, I'll be showing you how I take this "day time" look and add a few steps to make it night-appropriate! Hopefully you'll learn something new or find some cool products. If not, come back later this week and we'll get back to the fitness! This concealer is an absolute game changer for me. I have horrible undereye circles (hereditary) and this is the first product that's ever covered them. I hated this at first because it's really thick and extremely full-coverage, but I've found some tricks that have made it holy-grail. Make sure you use a tiny dot, and warm it between your fingers. Then, use your ring fingers to apply under your eyes and blend. Use a brush to finish blending it with the rest of your skin. Settings sprays are essential for me, and really finish off my look. Once I apply everything, I sometimes look a bit powdery and gross. I spray this all over, and it not only takes away that dusty/powdery look, but also ensures that my makeup lasts the entire day. This drugstore spray is fantastic! I've tried ones from Urban Decay and other more expensive brands, and this beats it for about 1/2 of the price. I use a cream shadow every day all over the lid. They're really easy to apply, and really quick as well! I love this color because it's slightly shimmery, and makes it look like I put a lot more time and effort than I really did. 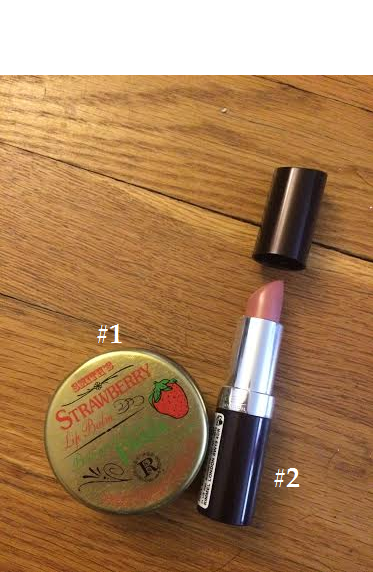 My other favorite cream shadow is the Bare Minerals BB Cream for Eyes in Blushing Pink (#2). This one has a wand, so it's even easier to apply. It matches my skin, so it just covers up any veins or redness on my eyes. I use an eyeliner to tight line my eyes (if you don't know what this is, check out this tutorial). This is great for work, because it's not as dramatic (or time consuming) as a regular eyeliner, but makes me appear more put-together and older than not lining at all. This liner is extremely smooth and stays put all day. I've found other liners to be a bit more stiff and it hurts to line that sensitive part of your eye, so a smooth pencil is key! I actually got this one as a sample, but I will definitely repurchase in the future. This is a perfect everyday mascara. It doesn't add a lot of length or volume, but simply darkens the lashes without ever clumping. I've repurchased this mascara tons of times and always make sure I have it for everyday! I don't usually apply a lipstick or lipgloss for work. I drink a lot of water and coffee and I'm in meetings all day, so it's easiest just to have a bit of clear balm on. I love this balm because it's extremely hydrating and smells amazing. 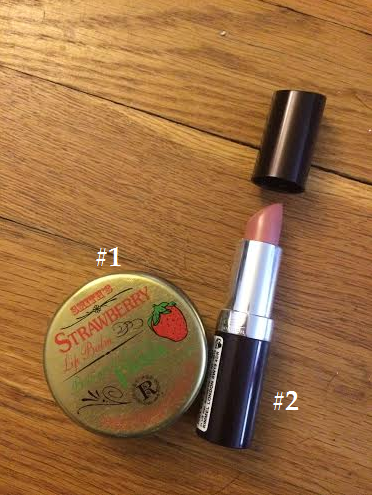 For a nice, natural color, I'll sometimes add Rimmel Lipstick in Airy Fairy (#2), which I keep at my desk. I hope you all enjoyed a bit of a different post today! I was excited to do something other than fitness, so I hope you liked it. Tomorrow I have another fun post about a fashion service that I tried..come back to check it out! 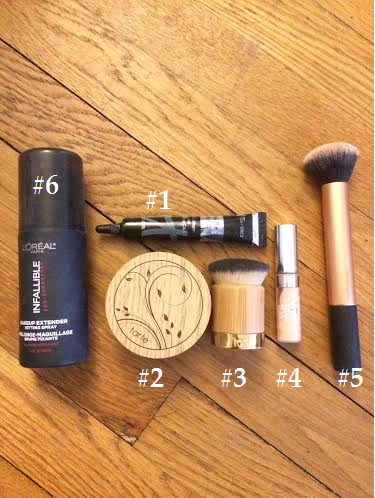 What are your every day essentials? Do you have a routine or switch it up every day? Hi Nichole! I'm so relieved you liked this! I figured most runners are more natural and wouldn't enjoy this type of a post. But I figured, "Hey, this is MY blog. I'll talk about what I want!" I also like Urban Decay a lot! I try to stick with drugstore as much as possible, but do dabble a bit in higher end stuff when I need a treat :) Stay tuned for more beauty posts! Hi Lisa! I need my mascara. 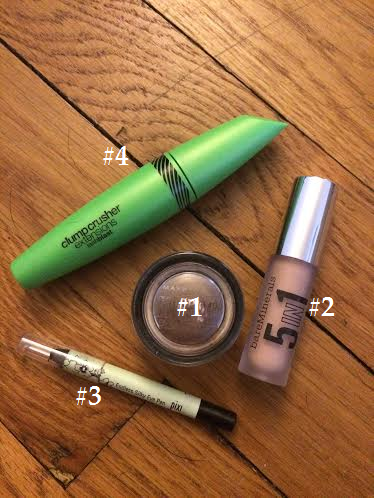 If I was just to wear one product for the day, it would definitely be mascara! I feel like it changes me from looking 16 to closer to my age. I don't wear makeup at the gym, and one of the workers told me I had to be 18 to be in the Platinum locker room by myself! I use baby oil every night to get all my makeup off and it wipes the mascara right off (and conditions my lashes so they grow longer!) It takes barely any time, and has helped clear my skin a lot! 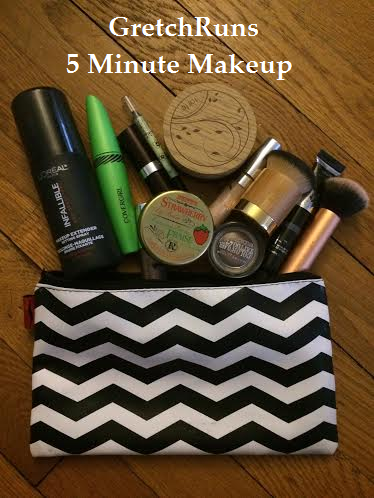 This is so much like me--I am a 3-5 minute face person, and just ask Heather of Fit N Cookies and my sorority--I can do the entire thing (including eyebrow pencil and eyelash curler) without a mirror! Makeup and running...I see that we have plenty in common! My daily essentials are foundation, eye brow pencil, mascara, and a hint of contouring. Oh and right now I am obsessed with Nars lipstick. Love it! That's awesome! I'm so glad that so many people liked this post :) is that the NARS audacious lipstick you're loving? I've been wanting to try it out but I'm trying to use up some lipsticks I already own! You are such a beautiful girl with or without makeup. i loved this post o your routine. I have always loved makeup too...I got that from my mother. You showed how just a little effort in the morning can make such a big difference. Love your blog Gretchen! Thanks so much mama Peggy!! That's so nice of you of you to say :) I love your blog too! Love it! Two years ago I used to be obsessed with cosmetics & was ordering from Sephora every week, then that changed into skincare, then I read up on hazardous/toxic ingredients & threw everything away then got obsessed with natural/organic/non-toxic cosmetics & skincare...so it's been quite a ride for me! What's funny is that I'm like you & like my makeup to be minimal & natural, so my husband would wonder how I was always buying makeup but it never looked like I wore any. Ha ha! I have that Tarte foundation I got as a free gift (if you order directly from Tarte you always get freebies plus emails for 30% off a few times a year) but haven't tried it yet. I need to!